Every Snow Queen needs a palace (where else are they going to sing Let it Go), and this beautiful play set by Le Toy Van is yet another triumph for Steven Le Van and his design team. 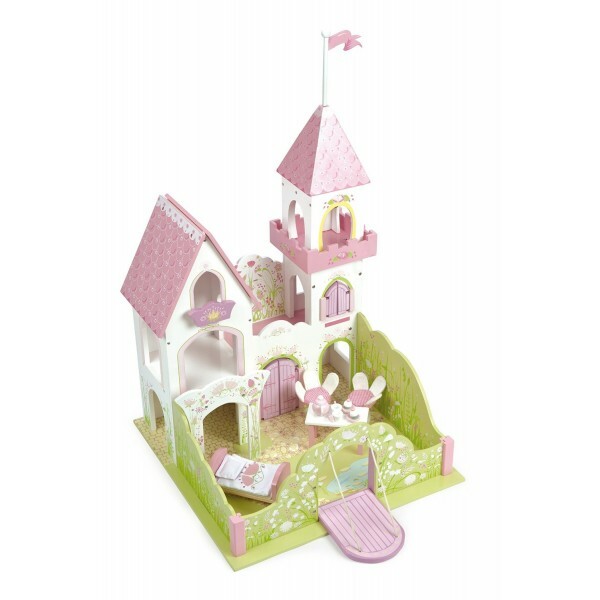 With a bed with linen, a table, two fairy chairs and a toy tea-set all included, there's everything any little princess needs for that inevitable happy ever after! This is a genuinely stunning play set that looks amazing and plays brilliantly - it's going to look incredible in your child's bedroom. The set is perfectly scaled for Le Toy Van's Budkins characters, but if you really want the Frozen experience, it works just as well with Bullyland's Anna and Elsa figures. The set comes with lots of accessories, so there's loads of play options and great opportunities for improving your child's creative development and storytelling skills. We're sorry, but the figures are sold separately.